Business Partnership have been helping sellers and buyers successfully for over 25 years. Our nationwide network of experts are there to support you in buying a business. Buying a business can be a stressful minefield full of snags and potential issues when trying to make a deal and conclude the sale. We aim to make buying a business a stress-free process by providing a, professional and trustworthy service that favours you and the seller equally. We get to know each and every business that comes through our doors, so we can provide a bespoke service to potential buyers by pairing the right business with your ambitions and requirements, so when you buy a business, you know it’s the right one. We have an intimate knowledge of the market and we deal with businesses at a range of prices, from small shops to large enterprises. We’re able to provide expert service and advice no matter what business and to whom. 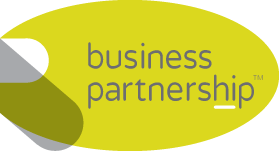 Buying a business is made easy and stress free with Business Partnership. Enter your postcode to find businesses for sale near you. (Within 20 miles). CNC Machine Tool Maintenance, Repair & Refurbishment. Yorkshire Based. Very Long Established. Superb Opportunity. Commercial Catering Franchise Resale - Well Established & Highly Profitable With Outstanding Exclusive Territory.